This sale is for 48 hours ONLY that is going on right NOW and will end on Sunday, March 31, 2019 @ 7am PST!! We are showcasing an AMAZING new stamp and die set! It's called 'Happy For You'!! This set is available now for purchase here! So much love was put into this! I love how it turned out!! My parents are building a new home so I created this for them!! 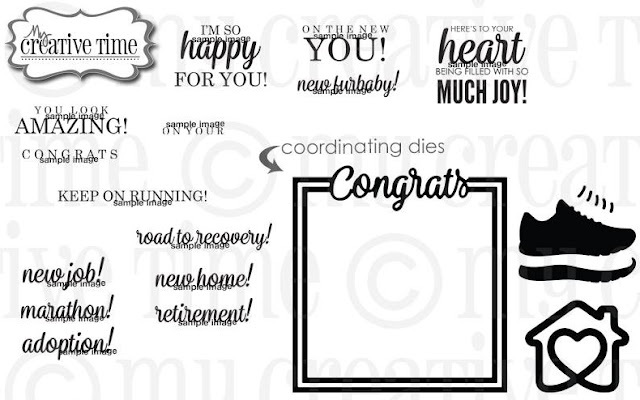 This new stamp set has so many awesome sentiments!! And the die set is a lot of fun as well! I especially LOVE the house die!! Such a unique die cut!! 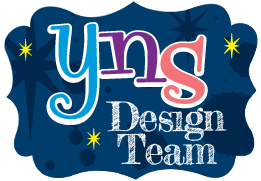 Come hop along with us for some AMAZING inspiration!! Oh My Miss Kendra what a Beautiful Shaker Card. Loving the colors and how you did the frame...You definitely showcased this new set in a most brilliant and creative way. GREAT JOB!! YOU so ROCK!! 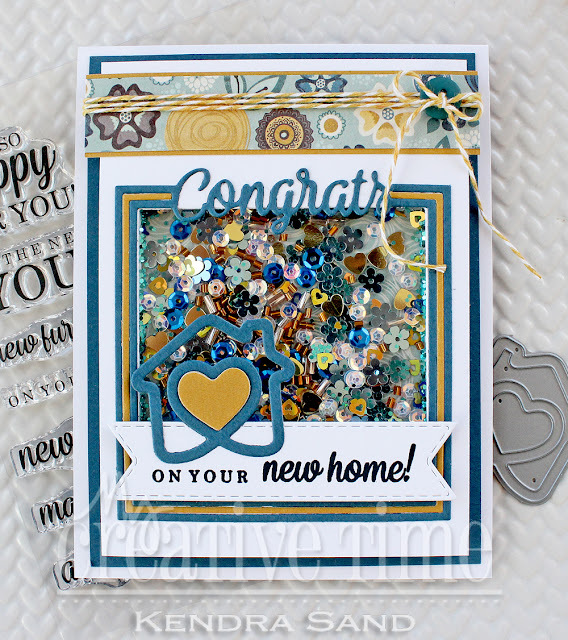 Love the creative way you created this “ New Home” shaker card for your parents with this new Congrats frame set! Love all the trinkets in the shaker! Love the sparkle and the little house one there. Very sweet. What a fantastic shaker. Love the layers and colors and the designer paper at the top looks perfect. I love shakers; they're my favorite type of card. WOW! LOVE your shaker card and the beautiful color combination you've got going on! So PRETTY! Have a great Weekend! What a fun looking card! So, cute with all the sequins. Your parents are going to love this card! Very creative! That is a gorgeous shaker card. Your parents will love this one. Thanks for sharing. Great idea to make a shaker! Such a fun card! sure to bring a smile.